Writing in The Telegraph yesterday, Sky Betting and Gaming chief executive Richard Flint resisted calls for greater restrictions on how gambling brands can advertise, but said companies should be required to put part of their ad budgets towards reducing harm. The article coinciding with Flint addressing MPs, who are considering banning TV advertising for gambling before the watershed, and football club shirt sponsorship – ideas that have been enthusiastically endorsed by Labour’s deputy leader Tom Watson. But Flint said he did not believe these moves would be the most effective way of addressing problem gambling – instead arguing that the "carrot" of being able to advertise on TV was an incentive for companies to up their standards. "There are many things wrong with the industry in this country. But one major positive is that the vast majority of it – over 95% – is regulated by the UK Gambling Commission and pays a point of consumption tax to the UK Government," he wrote. "This is the result of sensible regulation, including the ability to advertise." In contrast, he continued, "countries that take a more restrictive approach on advertising still have a gambling industry and they still have problem gambling." Of the nine gambling brands currently features on Premier League club shirts, eight are from overseas, Flint said, predominantly Asian countries: "but because these countries do not allow advertising and it is not tied to a regulatory regime, they have no means to force these companies involved to improve their behaviour." Stephen Woodford, chief executive of the Advertising Association, called Flint’s arguments "spot on". "Advertising’s self-regulatory framework, in partnership with the Gambling Commission, can ensure businesses adhere to the standards we aspire to in UK society," he said. "It is also important to note advertising’s role in driving positive behaviour change to address gambling-related problems, with the upcoming campaign about the risks of problem gambling, funded by the industry and run by the GambleAware charity, a great example of that in action." Safer gambling charity GambleAware is working on a £7m campaign aimed at reaching low-level gamblers who are at risk of becoming addicts. It will complement work for the charity by 18 Feet & Rising, which launched its first campaign, aimed at young men and women, in February 2017. Sky Bet, meanwhile, last November launched what it said was an industry first brand ad focusing on responsible gambling, fronted by Jeff Stelling. Speaking to Campaign, Rob Painter, managing director – people and brand at Sky Betting and Gaming, said that 11% of the company’s TV spen din 2018 was going on responsibility messages. "If every operator pledged to spend 10%, then people might feel a bit less bombarded," he said. With the negativity around gambling advertising in the media, "the problems the industry face can only be solved through good dialogue," Painter said. "It’s important to be evidenced based; for example there’s fewer impacts [for gambling brands] on watching live football matches now than a few years ago.There are fewer children watching live football matches that there used to be. "And there’s no evidence that links the amount of advertising with the extent of problem gambling. Those facts are often ignored." But Marc Etches, chief executive of GambleAware, warned that advertising and sponsorship played a role in "normalising" gambling for children. "We should not ignore the fact there are 370,000 children who gamble with their own money each week, and 25,000 of these are identified as problem gamblers," he said. "Indeed, one in ten 11-16 year olds follow gambling businesses on social media. 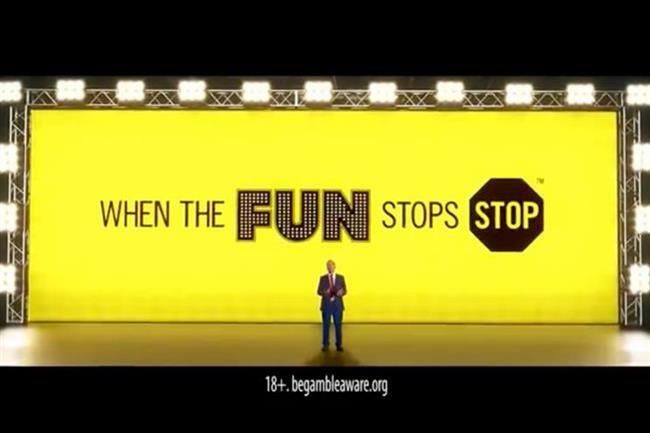 At the very least, sports organisations, advertisers and broadcasters all have a responsibility to ensure that the public understands the nature of gambling, the risks associated and to be aware of the support available via BeGambleAware.org."